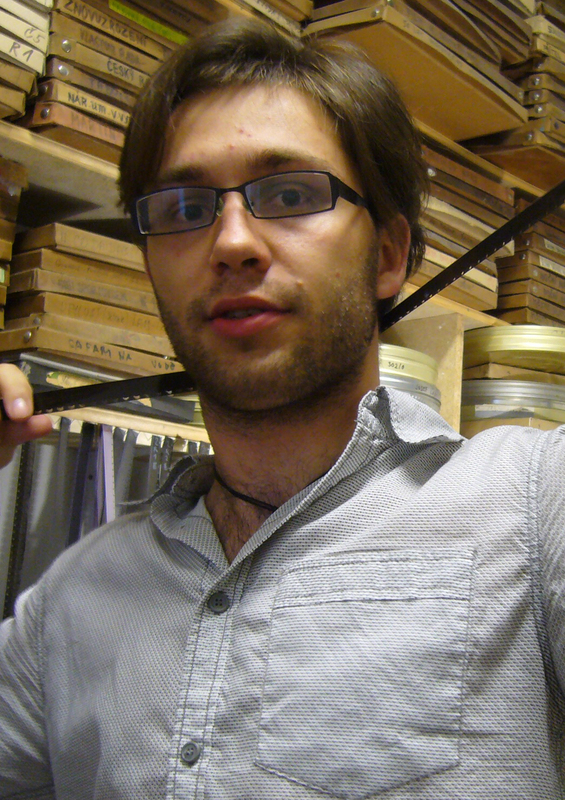 Tomáš Polenský (1987) studied film direction at the Film School in Zlin and then earned his MA at FAMU. Despite only a short filmography, he has received numerous awards for his work. Besides directing his own films, he also edits the films of his colleagues and acts as DOP for feature films, documentaries, music and commercial spots. He is currently finishing feature-length documentary Instrument of War dealing with the psychology of a soldier. Tomáš knows the environment depicted in The Pack more than well; his sister is the captain of the Czech Republic women’s national ice hockey team, and Tomáš himself spent 16 years playing minor and junior hockey; even acting as a youth coach for several seasons. Tomáš aims to base his approach to making The Pack on his experiences with documentary films, striving for a raw style and a focus on the expressive depiction of the feelings of the main characters. 8Heads Productions was established in 2010 in order to produce author-based projects in close creative co-operation between writer, director and producer. The founder of the company, Julietta Sichel, is a former program director of the Karlovy Vary International Film Festival and an experienced film producer, with several successful international co-productions to her name. When choosing her projects, Sichel relies on her more than 20 years of experience on the international film scene. Sichel focuses on films with international potential and with good chances of success at leading world film festivals. Films produced or co-produced by 8Heads Productions have been presented at numerous festivals around the world, including Montreal, Karlovy Vary, Tallinn, Chicago, Jeonju, Tehran, Raindance, Sarajevo, Kiev, Jihlava Documentary Film Festival, ZagrebDox, Houston, and many others. Jan Fron?k studied IT and Business Law at the University of Economics in Prague. In 1994, he began working at Barrandov Film Studios, where he led projects based on digital technologies. The studio was one of the first in the Czech Republic to connect to the Internet, and implement film locations e-presentations and dailies transfers for foreign productions. In 1997, he founded Lundegaard, one of the first digital agencies in the Czech Republic. In 2009, he established consulting company, Moss & Roy; offering advice in various areas, including digital rights management, crowdfunding of film projects, and on-line marketing. David (16), a talented goalie, is placed in a new hockey team. He is determined to do everything he can to succeed. Too bad the other goalie, Miky (16), is the coach’s son! And, as if that wasn’t bad enough, the team doesn’t exactly welcome David with open arms. Maybe it’s because of the little plastic box pumping insulin into his body. However, David won’t let his diabetes get the better of him! He tries to stand up on his own against the team’s animosity, bracing himself against the avalanche of bullying, but ends up making it even worse. Finally, the bullies’ brutal aggression awakens David’s instincts for self-preservation. Grabbing his hockey stick, he strikes Miky – a predator’s reflex more than anything else. Miky crumples to the damp floor, a pool of blood spreading around his head. David is terrified of what he has done. He hates himself for everything they did to him. For everything they made him do. There’s an inquiry. David’s father wants to bribe the investigating committee in order to clear his son’s name; David, however, feels his guilt. He refuses to be part of his father’s world of bribery, and refuses to submit to the rules of the pack that had finally accepted him as one of its own. He will not play hockey any longer, but leaves feeling he has done the right thing.